Could ducks in the water melt ice? 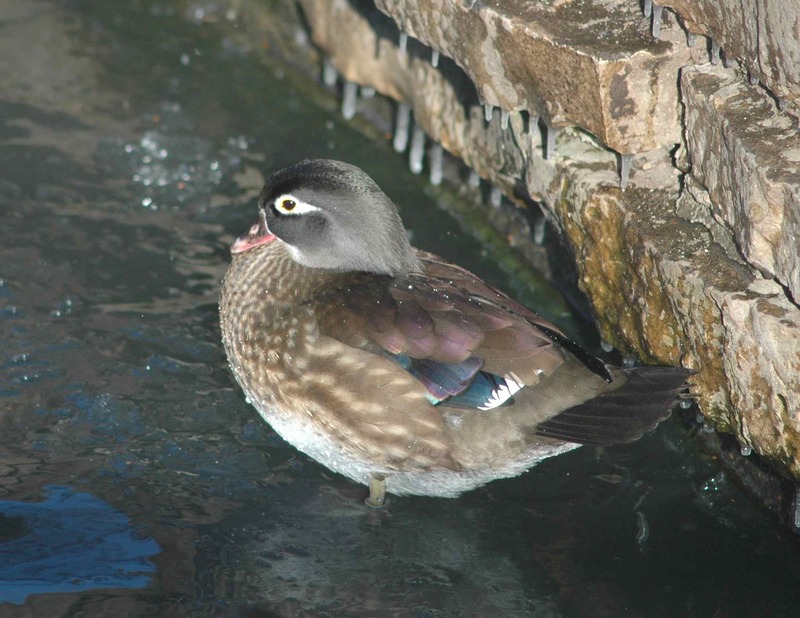 Female Wood Duck in Chicago in the winter. A reader question today! Dolores asks: Would the body heat of a modest mixed gathering of water birds (gulls, ducks etc) melt ice at the edges of a pond? The answer to this depends on context. We can start by establishing some extreme end-points: one duck at the edge of a huge lake in way-below-freezing weather would not be able to melt any ice. 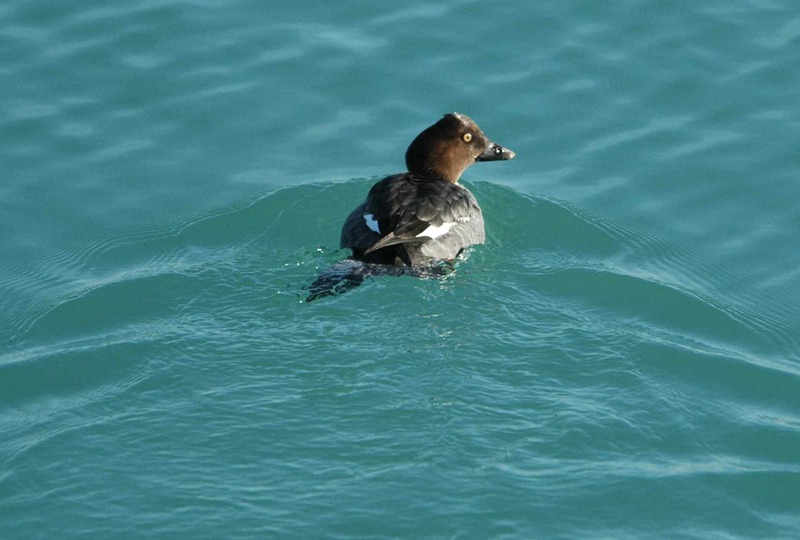 Female Common Goldeneye in Lake Michigan: it’s a good thing the lake is already melted, ‘cos you’re not going to melt anything. Twenty ducks splashing around spiritedly in a kiddie pool with the barest skin of ice in weather just at the freezing point would probably, if you waited long enough, cause the ice to melt. Between our two endpoints are more “normal” circumstances: a group of waterbirds hanging out at a pond. Could they melt any ice?